161 years later the Crimean Peninsula is once again at the center of worldwide media news. 16. 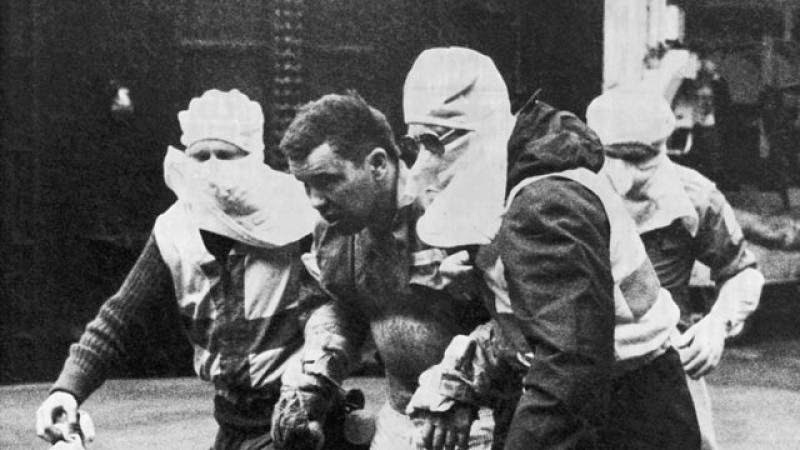 About 85 books have been written in English and almost 30 in Spanish about the 1982 conflict. They both share the same flaw as few of them depict the activities of nurses. 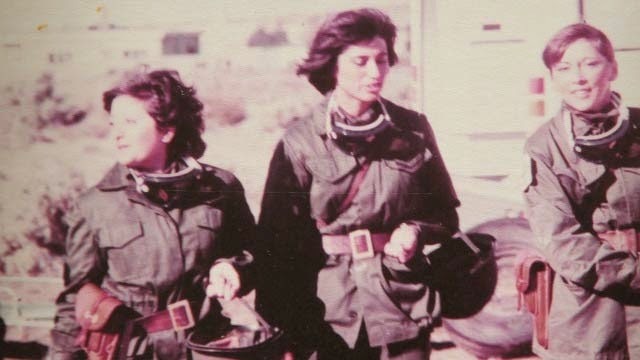 This article is the result of a historical research and personal interviews of the author with many brave nurses involved in the 1982 conflict. 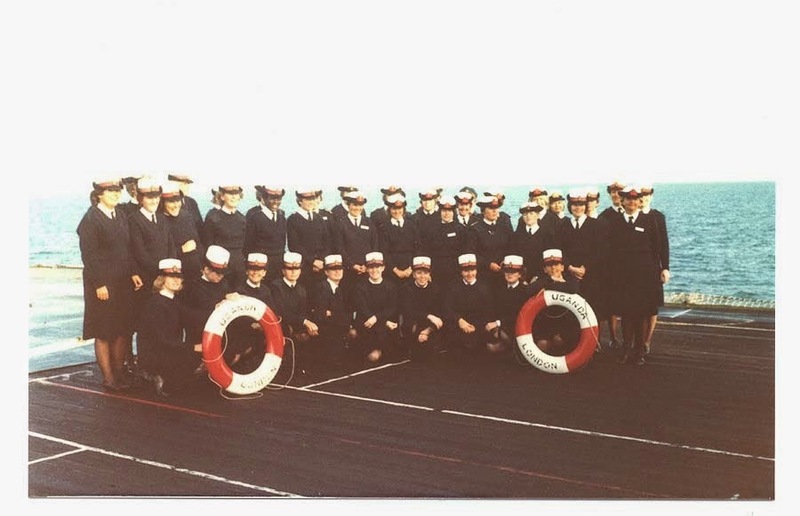 They opened their hearts and their chest of memories to me revealing their innermost experience during a time of upheaval when many of the female naval nurse students were 19 years old students. Some of them are married to survivors of the cruiser ARA General Belgrano but others were not so lucky. Lack of space does not allow me to include all their photographs and stories, however the reader will be enthralled to enter this brave women´s word of fleeting joyful moments, hard work, personal frustrations, fear, anxiety and romance. The author believes nurses are angels without wings so they deserve every success and recognition they get. 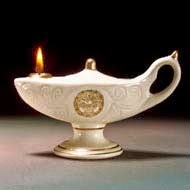 Let this article be a tribute to all these brave women who carry the ‘lamp of compassion” amidst conflicts around the world. 32 years ago, at 6-00 AM six women dressed in combat uniform, green camouflage green, boarded a commercial airliner in the Jorge Newbery airport in Buenos Aires and landed in Rio Gallegos. Henceforth they were moved to the Punta Quilla seaport in a Bell 212 army helicopter, and from there to a SH-3 Sea King naval medical helicopter to the Hospital Ship ARA "Almirante Irizar" . From the deck I could see dogfights over my head and ground cross fire as the boat was anchored in a bay. Light shells traced the sky like fireworks.One night Barrera took a night sight and became aware of the situation. "We assimilated it because we knew we had to work , preparing rooms and instrumentation . Over the years I found gunners who told me they were afraid to shoot as the ship was between them and the British, and also because they knew there women on board. " The Irízar assisted nearly a thousand injuries of all kinds. Many of the wounded soldiers came directly after a heavy fighting directly from the battlefield to avoid any delay. Nurse, Doris West – B/M ELMA “Formosa”. 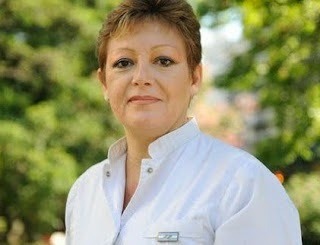 Nurse, Perla Aguirre – B/M ELMA “Río de la Plata”. 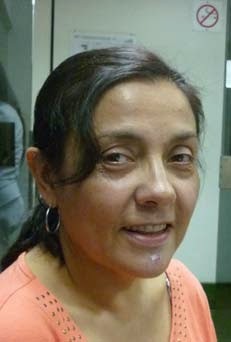 Nurse, Olga Elvira Grasso – B/M ELMA “Almirante Stewart”. 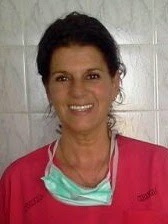 Nurse, Nelly De Vera – B/M ELMA “Almirante Stewart”. 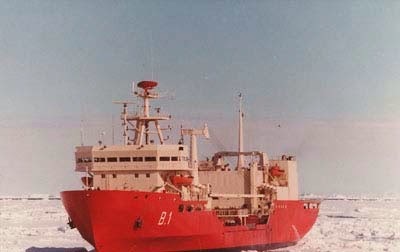 Nurse, Savid Molina – B/M ELMA “Tierra del Fuego II”. 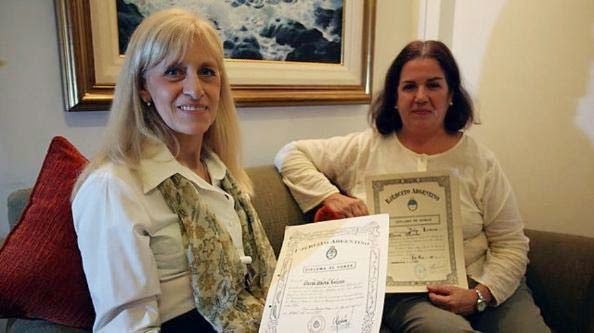 Doris West received her nurse diploma at the Buenos Aires British Hospital in 1958 and began working as a nurse in 1978 at ELMA (Empresa Líneas Marítimas Argentinas). "We were coming from a trip to the Gulf of Mexico, and when we reached the port of Buenos Aires we heard about the islands. We were at war. 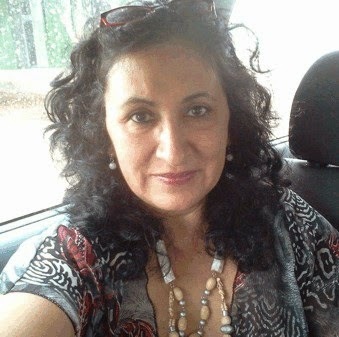 They loaded our ship with military supplies and left for an unknown destination to Puerto Quilla, in Santa Cruz, at 7 pm on April 2,"
At no time she felt like abandoning ship : "I wold have lived this as a betrayal, I never thought to get off." Doris was in the Formosa, the merchant ship that managed to evade twice the British blockade, moving ammunition and food for soldiers . 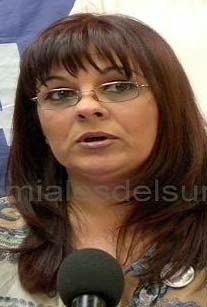 "I arrived to Malvinas on April 24 and stayed until 1 May. In Puerto Argentino, the British aircraft had already begun bombing" she recalls. "On the islands you could see the soldiers, walking without adequate clothing, feeling cold. We observed many respiratory infections." On the evening of May 1, Doris was in the infirmary preparing vaccines and drugs when he heard the sound of an airplane flying at low altitude, first, and then a roar of irons opening in the deck of the ship, and machine gun noise. A Mk 82 bomb had fallen into the cellar, but miraculously did not detonate. It was a mistake. 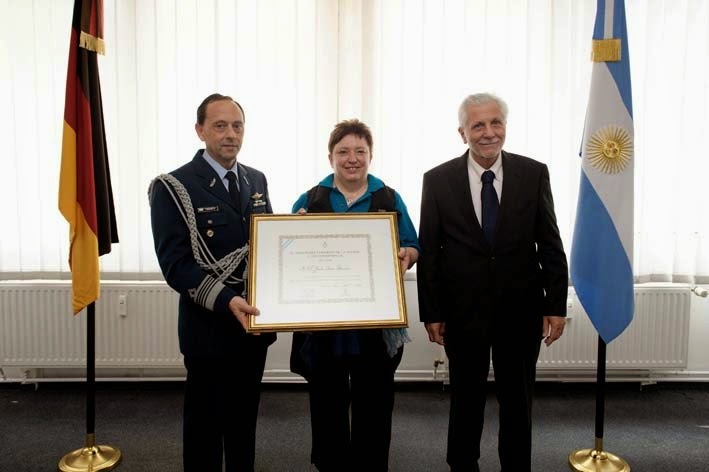 The attacker was an Argentine Air Force A4B Skyhawk, manned by Captain Pablo Marcos Rafael ¨Cruz¨ Carballo. "The crewmen were livid , deathly afraid," he says . "Just one year after the war ended, we knew that the attack was friendly fire." The bomb was later was decommissioned by Air Force Sergeant Pedro Miranda Prudencio. b) Non Traditional Course opened in 1981 which incorporated women with High School 5th grade, or nurses who served as civilian nurses during one or two years and professional nurses. Professional nurses were given the rank of Principal Corporal. The rest would be Commissioned Corporal First and Second class. When this course ended it was closed and the Navy continued with the Traditional course. 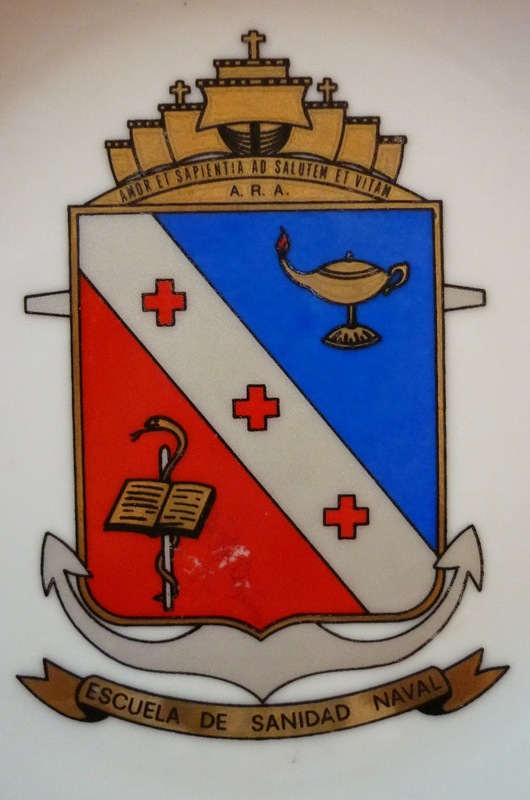 Director of the Naval Health School (1980-1981): Lieutenant Commander Medicine doctor Emilio N.Marincioni, Chief of the Courses Corvette Lieutenant José Italia, Petty Officer in charge Carlos Trejo an in charge of school Warrant Officer 2 Amaro De Souza. In 1982 Director of the ESAN: Commander Medicine Doctor Ricardo Arieu. 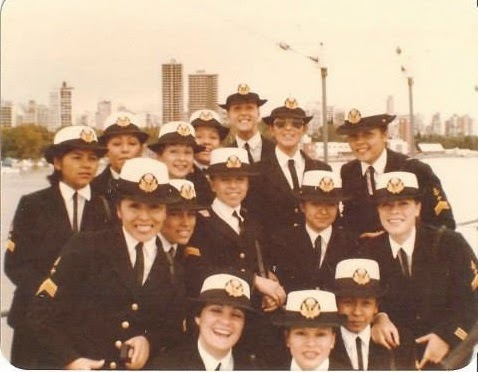 All these nurses not only were involved in preparing the hospital ship ARA Bahia Paraiso but assisted as well at the Puerto Belgrano Naval Hospital the wounded men coming from the front lines. 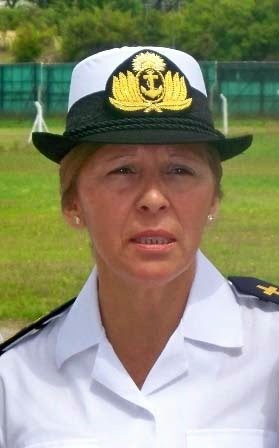 Claudia Patricia Lorenzini joined the Navy to study for nurse when she was 15 years old. She actually works as an assistant in a kindergarten in La Plata. She said the Navy gave her discipline and organization and that´s the reason by which she is very meticulous and organized with her stuff today. "In that sense, it was positive." 3erd row left to right: Guerra,Silvia, Castro,Liliana, Cintas,Drissi, Pompei,Liliana. Bordagaray,Laura,Melgar lIliana, Stancato,Nancy,Bonino,Sonia. 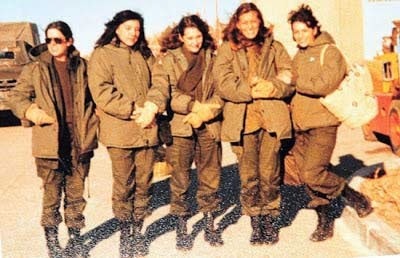 Upper row from left to right: Magallan,Nancy, Lucero,Laura,Distillo,Claudia. At the height of postwar I met my husband who has been with me 32 years of my life, a survivor of the cruiser ARA General Belgrano. We married on December 17, 1982 at the Stella Maris Church of Puerto Belgrano. I was one of the first Women who married with an honor guard of military women. It was the cutest wedding gift that I keep in my heart: to see my dear sisters waiting for me all along the aisle to the altar, with their white uniforms guiding me to my " my perky seaman¨. Warrant Officer Nurse 2 Liliana Castro works at the Haematology Service in the Buenos Aires Naval Hospital. 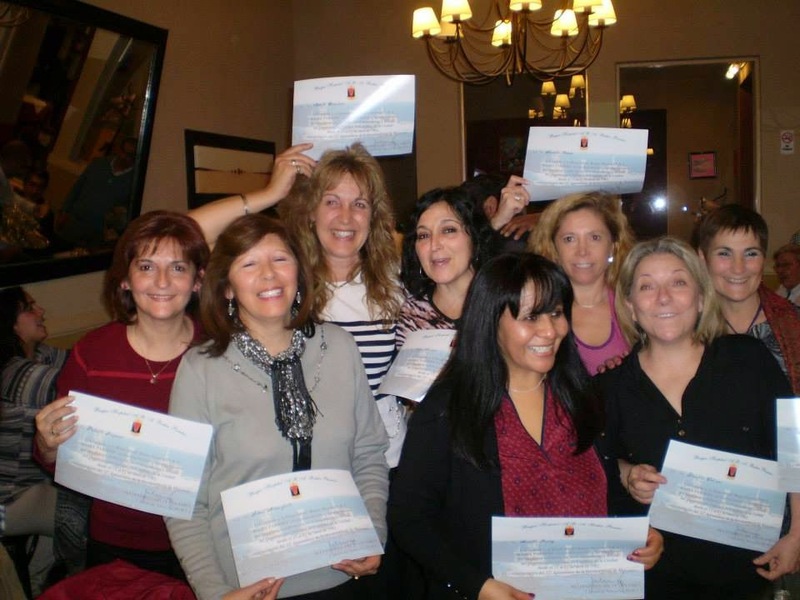 2nd row right to left: Stancato, Nancy - Siciliani, Andrea - Moyano, Monica -Rossini, Alejandra - Gonzalez, Claudia - Santos, Liliana - Vega, Nancy - Rodas, Elsa. Standing back right to left: Lucero, Laura - Trinchin, María Graciela. Alicia Coronel Works at the Gastroenterology Service in the Buenos Aires Naval Hospital. Marisa Peiro who was born in Mendoza and now lives in Canada. 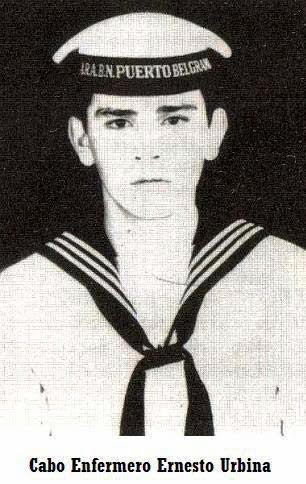 On the night of April 2nd, at the beginning of the conflict she was on call at the Puerto Belgrano Naval Hospital. Marisa received the first war wounded: Nurse Corporal Ernesto Ismael Urbina who had been shot while assisting Lieutenant Commander Marine Corps Pedro Edgardo Giachino. calling for a nurse so I began to skirt the privet fence and fiber cement sheets which divided the patio. I identified Giachino by his voice. Giachino was known for his voice which denoted courage and ability to command. "I tried to go through a gap where there was a fiber cement sheet missing. I was surprised by a group of ducks and geese frightened by the shooting. I managed to get to a box of plates when I was hit by bullets. " Urbina stood out in those conditions from about 7:30 am up to an hour and a half later. With the ceasefire he was taken to the hospital and submitted to surgery in the island. ¨My experience in the care of the wounded during the conflict of Malvinas as limited to the Surgical Recovery Service in Puerto Belgrano Naval Hospital , a work I´ve done next to the invaluable Civilian Personnel We worked professionalism and dedication in a team of surgeons, clinicians, traumatologists (and a short time with the Principal Nurse Gloria Chocobar). We were joined by the same hidden and invisible pain of these young heroes hoping that all of them (soldiers and corporals mostly from the Army) would fight for their life and survive their wounds of the face, neck, arms, abdomen, legs, feet and especially of the soul; with the same courage they fought in this uneven war. 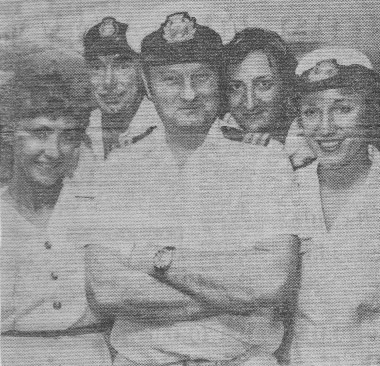 I was also with the group of Nurses (which prepared the hospital ship Bahia Paraiso and which a last time order made them disembark). We went to the hospital to the various services which required more staff; and henceforth we went to receive the survivors of the cruiser ARA "General Belgrano" . These last were so shocked and defeated men after such painful ordeal that could not undress themselves to be examined !. 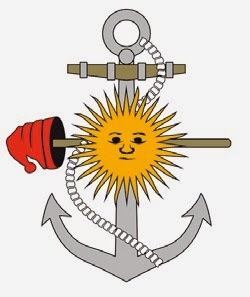 On April 16th we were informed that 13 Able Seaman Nurses 1nd class , 2 Able Seaman Nurse 2nd class and 2 Leading Seaman nurses would be appointed to the hospital ship Bahía Paraíso plus 4 scrub nurses from the hospital and male nurses. Later the Hospital Director said in a lecture that the Bahia Paraiso would have no female personnel. The Commnder and the Health Chief tried unsucesfully to keep us on board.All was useless. They thanked us for our work in that ship and although we belonged to her crew for only 7 days the moments we lived on board will never be forgotten. Warrant Officer Nurse 2 Andrea Oviedo works in Infectious Diseases service Sandra Ordoñez works as Nurse Supervisor in Outdoor patients area. 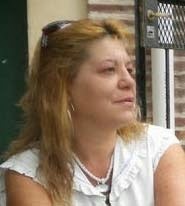 Rosanna Patricia Imperio works at the Mariano Veronelli Proyect. She coordinates workshops for mothers of children who at the same time assist for school support.Patricia works with these women´s self-esteem, addressing their personal problems from domestic violence, emotional abuse, family coexistence, prevention and higiene.Right now their team is working for Caritas headquarters in St. Augustine Parish. 231 patients were asisted of whom 148 were wounded in combat and picked at different points of conflict. The ship evacuated 1984 people, of which 690 were from the Navy, Army 1032, Air Force 198 and 64 civilians. 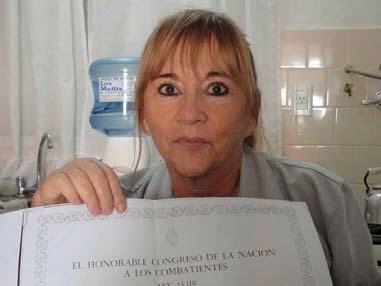 Ms. Gisela Irene Bassler being nurse, joined the Argentina Air Force on March 1, 1980 for the Zonal Military Training Course, graduating with the degree of Leading Seaman Nurse. 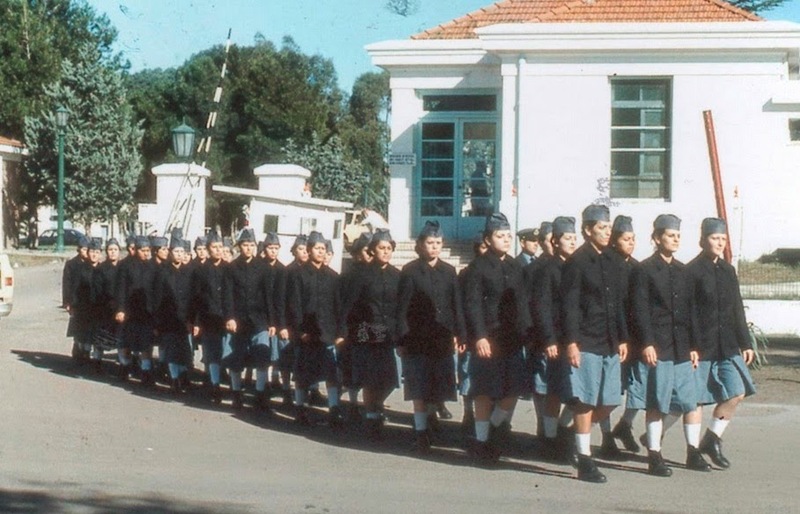 During the development of the South Atlantic Conflict between April 02 and June 14, 1982, was intended to Relocatable Hospital which was installed in Comodoro Rivadavia Military Air Base. providing health care to approximately 365 wounded. Ms. Bassler currently resides in the city of Ulm, Germany. 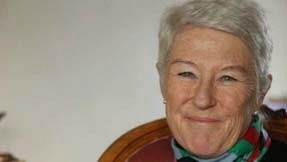 Nicci Pugh qualified as a State Registered Nurse in 1971 and quickly progressed to become the youngest Theatre Sister to be appointed at The Royal Cornwall Hospital in 1975. Joining the Queen Alexandra’s Royal Naval Nursing Service (QARNNS) as a Senior Nursing Officer on a five year short service Commission in 1980, Nicci worked at the Royal Naval Hospitals Haslar, Gibraltar and Stonehouse.In April 1982 Nicci was selected with 39 other QARNNS nursing personnel to serve on board Her Majesty’s Hospital Ship Uganda during the Malvinas conflict. A team of 135 medical staff, including 12 doctors, operating theatre staff and 40 members of the Queen Alexandra's Royal Naval Nursing Service, left Portsmouth to join the ship taking large quantities of medical supplies with them. Uganda co-ordinated the movements of the four British and three Argentine hospital ships Almirante Irízar, Bahía Paraíso and Puerto Deseado and treated 730 casualties, 150 of them Argentine making four rendezvous with the Argentine ships. 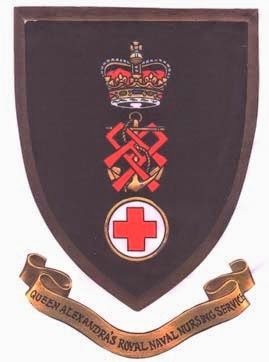 HMS Hydra worked with her two sister ships, HMS Hecla) and HMS Herald, to take casualties from the main hospital ship Uganda operating in the declared "Red Cross Box"( a virtual space where hospital ships could be anchored at night) 1, to Montevideo, Uruguay, where they were disembarked by a fleet of Uruguayan ambulances and flown by RAF VC10 aircraft to the UK for transfer to the Princess Alexandra Royal Air Force Hospital at RAF Wroughton, near Swindon. 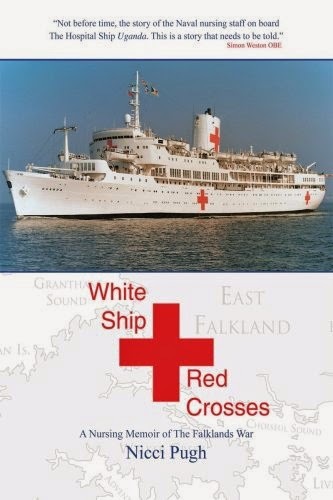 The hospital ship HMS Hydra made four such passages from the waters off the Malvinas Islands to Montevideo, carrying a total of 251 British military casualties, many of them burns victims after the air attacks on landing ships at Bluff Cove. 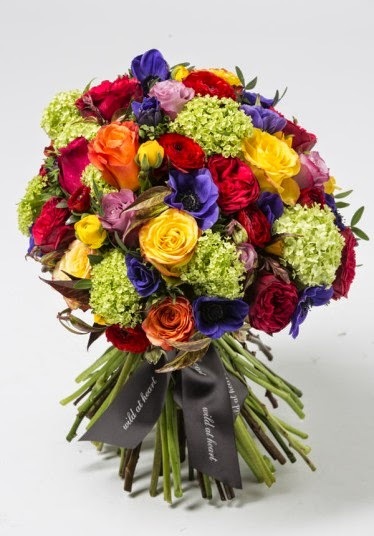 The last three 'lifts' of patients were made with departures from Grantham Sound, in the Malvinas Islands, to Montevideo on 14 June with 80 casualties, 24 June with 66 casualties and, finally, on 7 July 1982 with 48 casualties. Thirty of the ship's company had been trained, during the passage south. to support the medical staff as temporary nurses - many were called on for that assistance. Inspections to ensure compliance with International Committee of the Red Cross conditions were carried out by ICRC staff, some transferring to the ship in an Argentine hospital ship aircraft on 12 June. 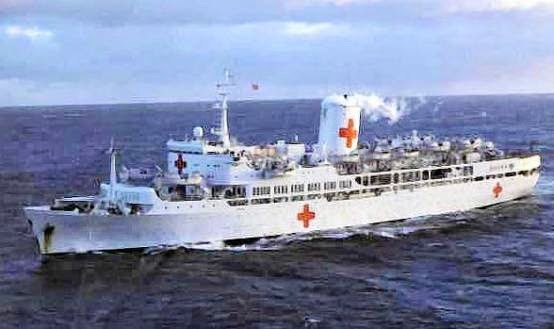 An inspection was also made by Argentine naval officers in the estuary of the River Plate.On 14 June 1982, HMS Hydra stayed behind as the Falkland Islands Hospital Ship, based in Puerto Argentino. Following this article and, commemorating the 32nd Anniversary of the Heroic Deed of Malvinas, the Command and crew of the ship ARA Bahia Paraiso handed a diploma in recognition and appreciation to our naval nurses for their valuable assistance in the recruitment and assembly of the Combat Health Department Unit from 15 to 21 April 1982. Photographs: All photographs were taken by the author except those indicated. Myers,Steven Lee and Barry,Ellen-Putin reclaims Crimea for Russia and bittrly denounces the west-The New York Times, March 18,2014.